This is a picture taken directly above these camels in the desert at sunset. It is considered one of the best pictures of the year. 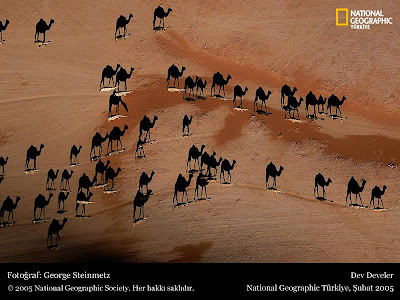 Look closely, the camels are the little white lines in the picture.The black you see are just the shadows.